Amazon's Kindle Fire – arguably the most-anticipated fondleslab since Apple's iPad – was released on Tuesday, and already the techno-haruspicationists at iFixit have torn one apart and examined its entrails. 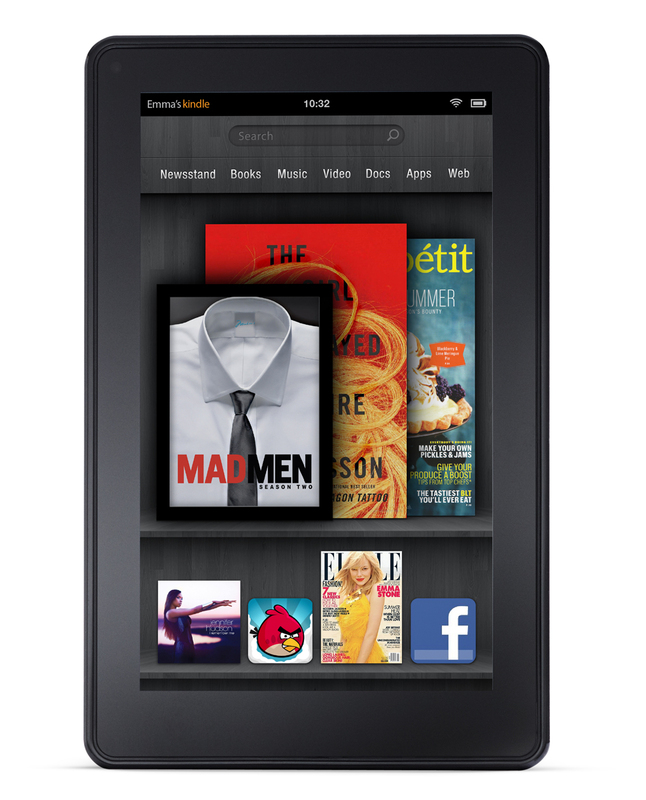 The Kindle Fire – can we just start calling it the Fire? thanks – is already a hit among developers and has caused a passel of prospective iPad purchasers to postpone said purchases. One reason, of course, is the Fire's price: at $199, it's a much less wallet-straining tablet than the iPad, which runs from $499 to $829. So does the Fire's bargain-basement price make it a cheap 'n' cheesy also-ran to the iPad? Not if what iFixit found inside is any guide. For one, there's a 3.7-volt lithium-ion polymer battery with a hefty 16.28Wh/4400mAh capacity. However, despite its heft it doesn't match the specs of the iPad 2's battery trio. But it shouldn't need to. The Kindle Fire's battery, after all, only lights up a 1024-by-600-pixel, 7-inch display, while the iPad 2's 1024-by-768-pixel, 9.7-inch display is understandably more power-hungry. The Fire's logic board includes an impressive enough collection of chips for a $199 device – although with only 6GB of the internal 8GB of flash RAM available to users, you're not going to be carrying around your entire audio or video collections. In addition, all Amazon content is stored – where else? – in the cloud. On the underside of the board are an audio chip (Texas Instruments AIC3110) and a bus-management chip (Texas Instruments WS245). 'But where's the CPU?' you might logically ask. Well, it's nestled underneath that 512MB Hynix RAM chip, which iFixit discovered when they decoupled the two chips using a heat gun. 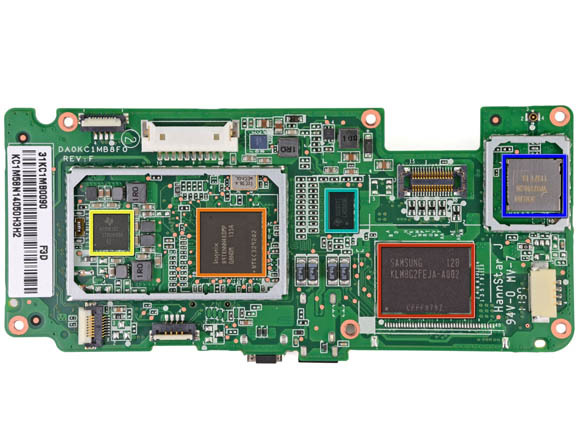 The CPU is a 1GHz Texas Instruments OMAP 4430, which includes dual ARM Cortex-A9 cores and an Imagination Technologies' PowerVR SGX540 graphics core. 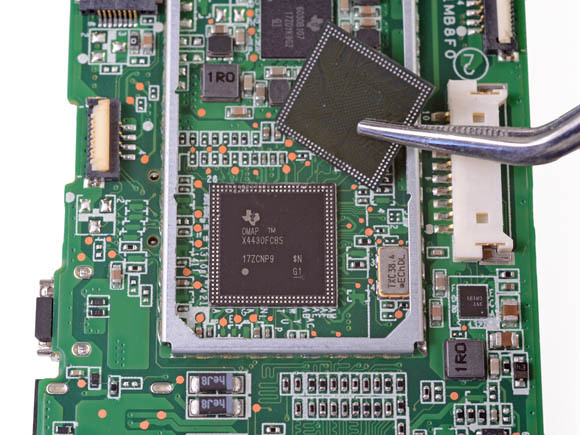 Texas Instruments also makes a 1.5GHz OMAP 4460, so we'll be anxious to see if the choice of its slower sibling was a wise battery-life/performance trade-off. As you may have noticed, it appears that the Fire team spent a lot of time in Dallas, Texas – the new Amazonian tablet is chock-full of TI parts. The folks at iFixit – as their name might indicate – are not only purveyors of DIY (and FIY) parts and tools, they're also strong advocates of gadget design that allows for easy repair. And they've found a friend in the Fire – it's easy to open and easy to reassemble. 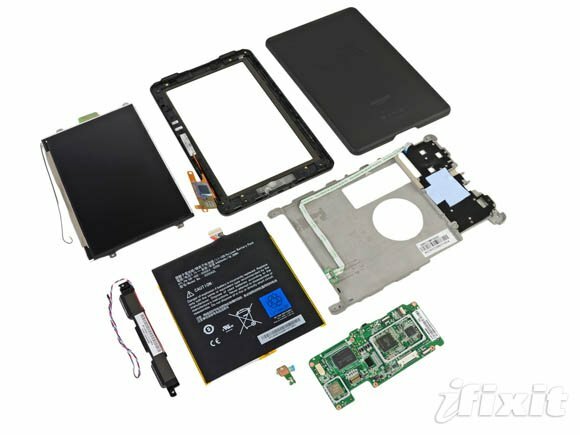 As they told us in an email: "Two years down the line – when the battery decides to go kaput – it will be significantly easier to replace the battery in the Kindle Fire than its Apple competitor."